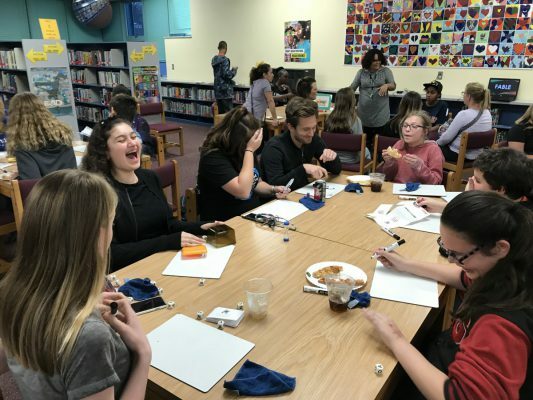 Southport Middle School students had a great time celebrating Literacy Week 2019. 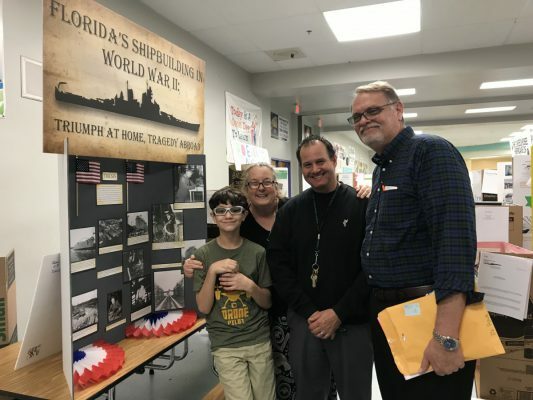 This year’s theme from the Florida Department of Education was “Spreading Literacy, One View at a Time.” The week began with a door decorating contest and homerooms were given the entire week to complete their project. 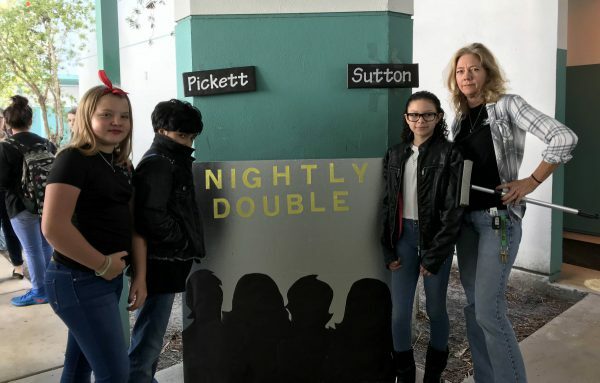 Students started the celebration on Tuesday dressed as their favorite book character and ended the day with their families at a Literacy Evening of fun, games, food, and books from the Scholastic Book Fair held in the Media Center. 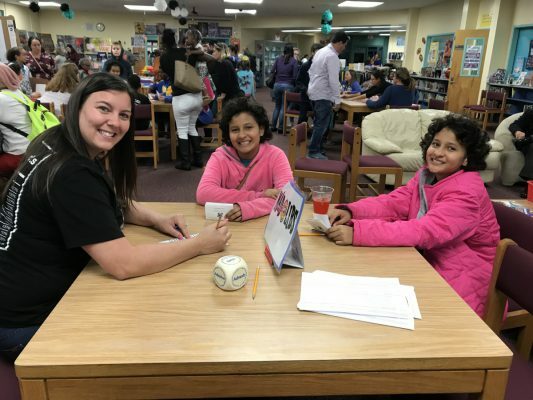 Students began with a “Passport to Literacy” that teachers stamped as they made their way through all the fun activities, as well as a History Fair going on in the cafeteria. 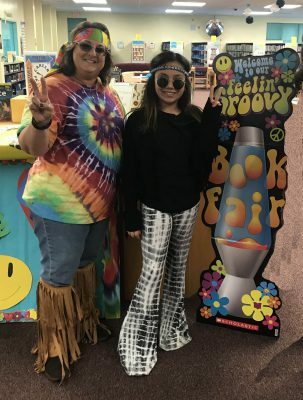 Wednesday was a groovy day where everyone was invited to dress up in their favorite tie-dye attire. Thursday was the final day for the Scholastic Book Fair and homerooms wrapped up their door decorating. Doors were judged at the end of the day for the Best Representation of Theme, Most Creative, Most Artistic, and Funniest. 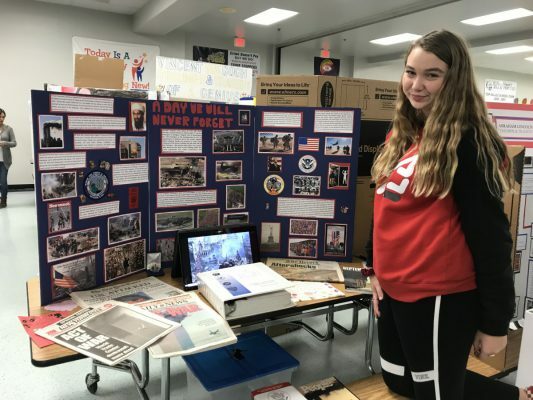 Thursday was also deemed Dress for Success Day for the seventh and eighth grade students who had the privilege to attend a Career Fair planned by the guidance department. 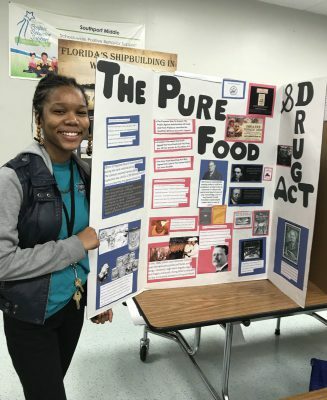 The community really came through for this event, bringing professionals together from a wide variety of careers for our students to meet and greet.